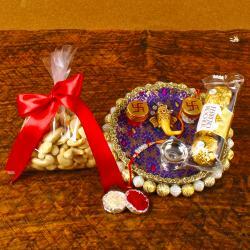 Five Beads Rakhi, Roli Chawal and Assorted Cashew ( Chocolate Cashew, Masala Cashew, Black Pepper Cashew and plian Cashew) (Weight : 400 gms) along with Basket. 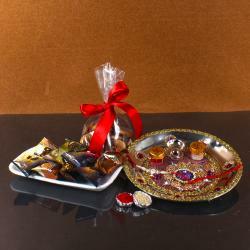 Ethnic diversity combines gracefully with some sweet temptation on this Rakhi combo pack of your darling brother. This pack contains a beautifully designed Rakhi in multiple colors that will amaze your brother and also comes with the traditional Roli Chawal for company which all sisters want to serve their siblings on this auspicious day. Additionally, the Assorted Cashew is the perfect way to top off the celebrations and will wow your brother with its lovely taste. Cashew is very good dry fruits to eat. It contains natural sugars and fiber, zero cholesterol and fats, and a variety of delectable flavors. 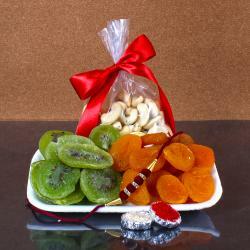 Cashew with nuts is packed with essential nutrients. 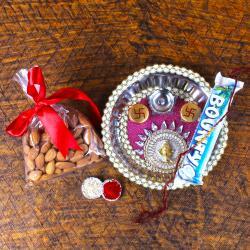 Rakhi is the festivals which celebrate the eternal bonds between the siblings. Raksha Bandhan is a wonderful time to let your brother know how much you care. Rakhi treats your brother with amazing traditional Rakhi which is multiple hues, shades and its endearing design pattern. This combo deserves a closer look on your part. 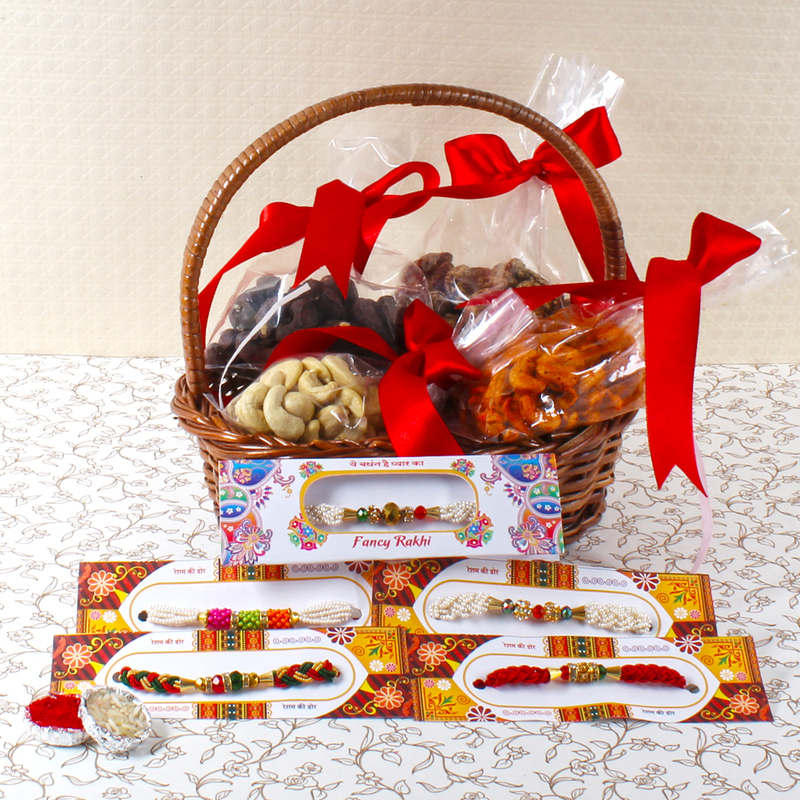 Beautiful Rakhi Combo includes : Five Beads Rakhi with Roli Chawal and Assorted Cashew (Chocolate Cashew, Masala Cashew, Black Pepper Cashew and plain Cashew) (Weight : 400 gms) in a Basket.